Bring everyone together to spread out on the Chaise Sectional. 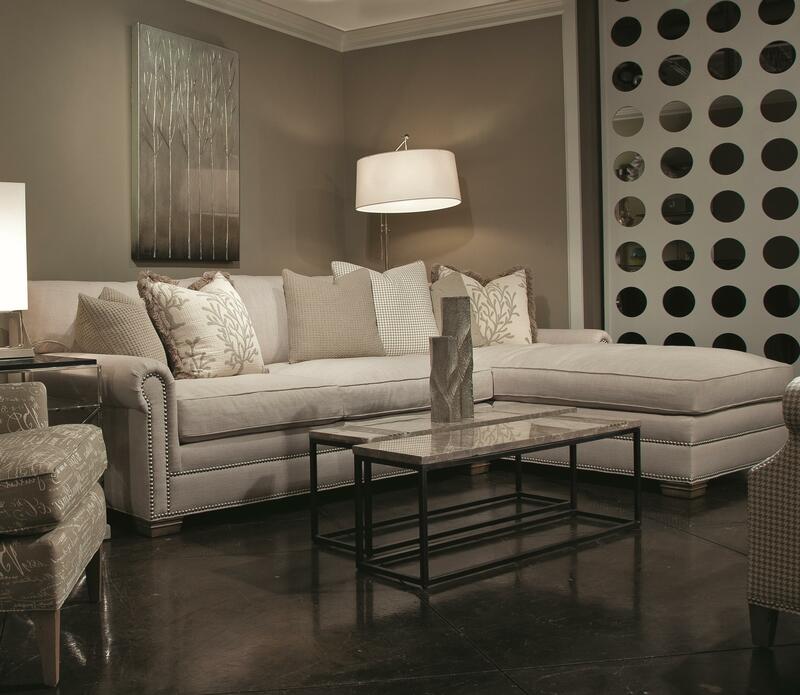 The Chaise Sectional has a transitional style that can work in any setting. Stretch out in the deep seats and long chaise with plush cushions and cozy pillows making it hard to resist. 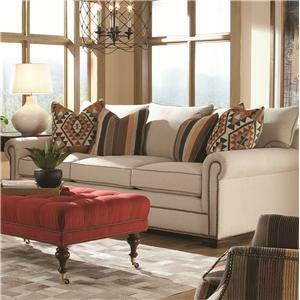 The Chaise Sectional is detailed with nailhead trim, rolled arms and sits on square wood feet. The cushions are framed with welt cording for durability and support. Fill your living room with the stylish and elegant Chaise Sectional that will be the best seat in the house. 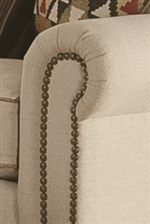 The 7107 Right Arm Facing Sofa Chaise w/ Roll Arms by Huntington House at Wayside Furniture in the Akron, Cleveland, Canton, Medina, Youngstown, Ohio area. Product availability may vary. Contact us for the most current availability on this product. 7107-62 Right Arm Chaise 1 44" 86" 36"
7107-43 Left Arm Loveseat - Rounded Arm 1 84.5" 45" 36"
The 7107 collection is a great option if you are looking for Traditional furniture in the Akron, Cleveland, Canton, Medina, Youngstown, Ohio area. Browse other items in the 7107 collection from Wayside Furniture in the Akron, Cleveland, Canton, Medina, Youngstown, Ohio area.